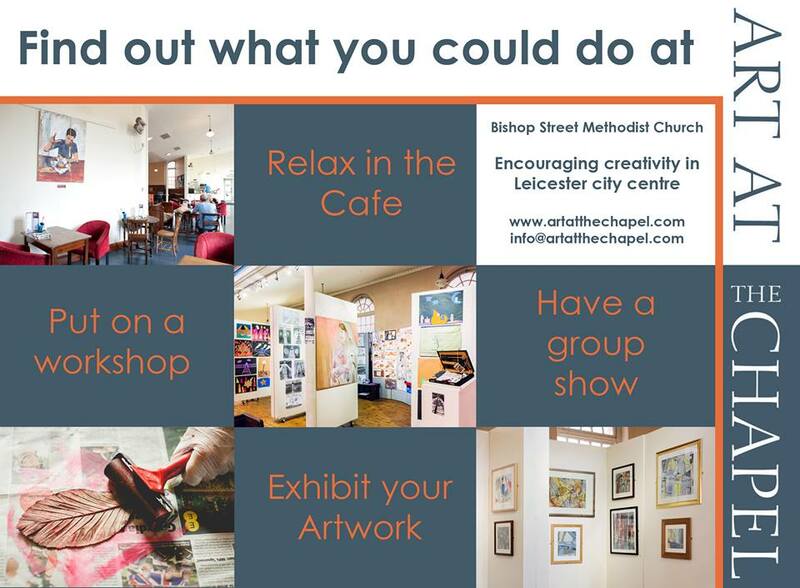 Art at the Chapel is an art and spirituality project based at Bishop Street Methodist Church. Exhibitions of local artists’ work celebrating the artistic gifts that God gives. Exhibitions by Christian artists inspired by aspects of their faith. Workshops and participative art events to help others to develop their creative sides, celebrating the belief that human creativity is part of the image of God in which we are all made. Exhibitions of work by charities to ‘showcase’ what God is doing in the world around us, celebrating the good news stories that these charities have to share. Exploring ways we can use art, creativity and our imaginations to worship, pray and grow in our relationship with God. To find out more about Life at Bishop Street visit the website by clicking here.